Ant-Man and the Wasp had its world premiere in Hollywood on June 25, 2018, and was released on July 6, 2018, in the United States. It has grossed over $617 million worldwide, making it the seventh-highest-grossing film of 2018. Hi my name is Olivia and I am huge fan of superhero films. I am 12 years old and enjoy spending time with my friends and going to the cinema. This is my first review and I hope that I do a good job! I have recently been to see Ant-Man and the Wasp, and it was amazing!! It was so much fun and really made you think of the links between the super hero films. I fully recommend going to see it as it was so much fun and it was really entertaining. 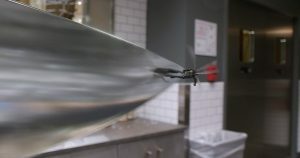 Who’s in the film? Well Marvel has cast Paul Rudd as Antman, alongside Evangeline Lilly as the Wasp. 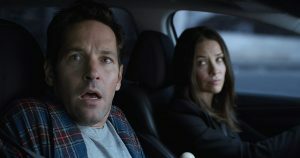 Paul Rudd is his usual goofy self at times whilst Evangeline Lilly plays a more confident and a determined character. The film also introduces Hannah John-Karmen as the Ghost, a very creepy and dark character. I enjoyed seeing more female characters as I think superhero films are usually full of male characters. 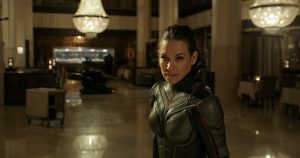 The film also stars veteran actor Michal Dougles as Dr Hank Pim, the creator of both Antman and the Wasp (she’s also his daughter). Scott Lan (Antman’s day to day character) balances both a superhero and farther, and is presented with a new mission by Doctor Hank Pim. I think it was really cool how they showed you memories from the past and mentioned other ‘supes’ such as Captain America. 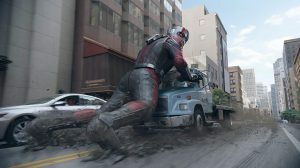 My favourite character in this was Ant-Man as every time he was on screen he made me laugh! 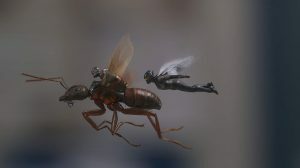 I really hope they come out with a second film of Ant-Man and the Wasp, as they left us with a cliff-hanger! I think the film is suitably aimed at twelve years and above, it would be a great film to go and see with friends. 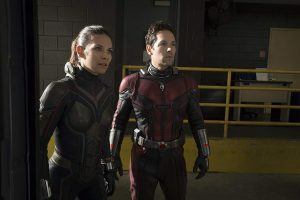 To give you a little clue about the plot of the film, Ant-Man and the Wasp have to solve secrets of the past. TOP TIP: Make sure you stay till the very end as there is a little scene just after the credits.